This week’s Google+ Hangout is with Kelvin Sheppard. It will begin around 5:15PM. To sign up for an upcoming one, register here. For the past month, Bjoern Werner has been a spectator on the Colts practice field. Werner, who has been dealing with a foot injury since leaving the Jaguars game on Sept. 29, put the pads back on Monday afternoon practicing in a limited role. 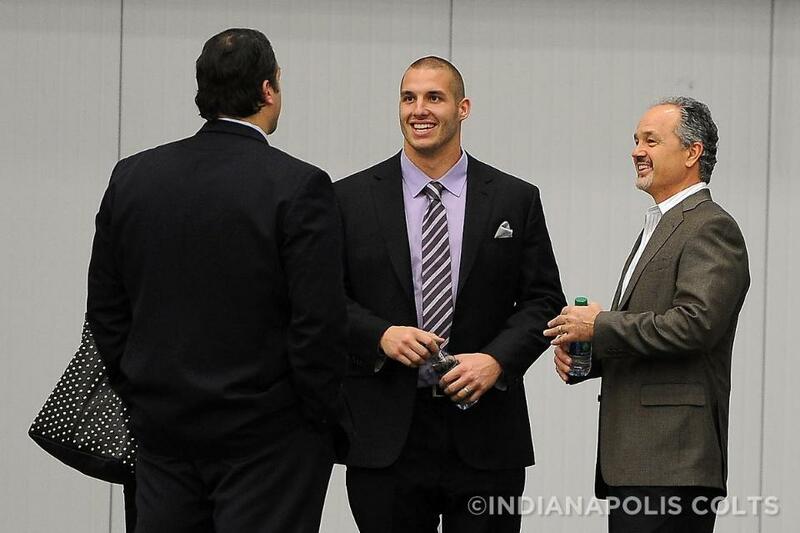 “(Werner) felt good doing what he did, leaving the practice field,” head coach Chuck Pagano said on Monday. In Werner’s first three and a half NFL games, he had four tackles (.5 sack) while playing mostly in nickel situations and on special teams. Werner’s infectious personality hasn’t changed despite missing a month of his rookie campaign. “Honestly, it’s pretty easy because the atmosphere around the players is awesome. I don’t think anything negative. It’s really motivating to get back out there and help,” Werner said earlier this week. One of the initial steps to getting back on the playing field came on Monday. Both Werner and Pagano alluded to the fact that how the rookie’s foot handles a full week of practice will be the ultimate factor in deciding if Sunday night marks his return. “I don’t know how it responds, just putting the pads on and stuff like that,” Werner said of his foot. The Colts will put on the pads today as they return to the practice field in preparation for Sunday night’s matchup with the Texans. Today’s news looks at the longevity of Adam Vinatieri and this weekend’s contest. Take a look below at the top pieces from Wednesday, October 30th. With a 15-of-17 effort in the first seven games of the season, Adam Vinatieri is showing zero signs of slowing down. Vinatieri smiled at the notion. At 40, he’s the NFL’s oldest player. But in his 18th season and after laying the foundation for likely induction into the Pro Football Hall of Fame, he remains driven. “Never being satisfied is the real key to it,” Vinatieri said. “Always wanting more and more. More stats. More Super Bowl rings. Chuck Pagano said throw the records out the window when divisional teams meet and that message has permeated through the Colts locker room. It’s back to work for the Indianapolis Colts, who will go into Sunday night’s nationally televised National Football League game (NBC, 8:30 p.m. kickoff) against defending AFC South champion Houston with a 5-2 record and a two-game lead in the division. The Texans, meanwhile, have struggled of late and will take a 2-5 mark against Indianapolis. Colts quarterback Andrew Luck doesn’t care to talk about Houston’s issues so far this season. All he knows is that the Texans have ruled the division the last two seasons and still possess an outstanding defense. “I don’t think there will be any problem of flipping the switch [coming off a bye] and getting back going. 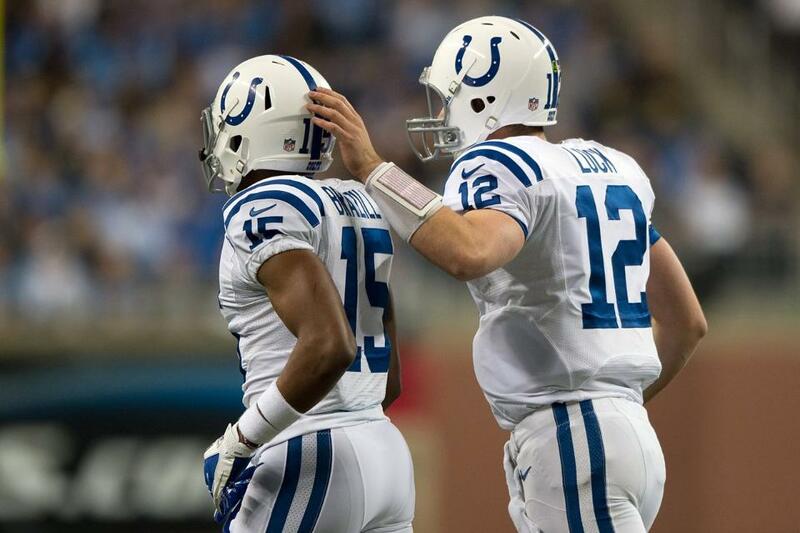 I don’t think guys really turned it off completely [last week] either,” Luck said Monday.